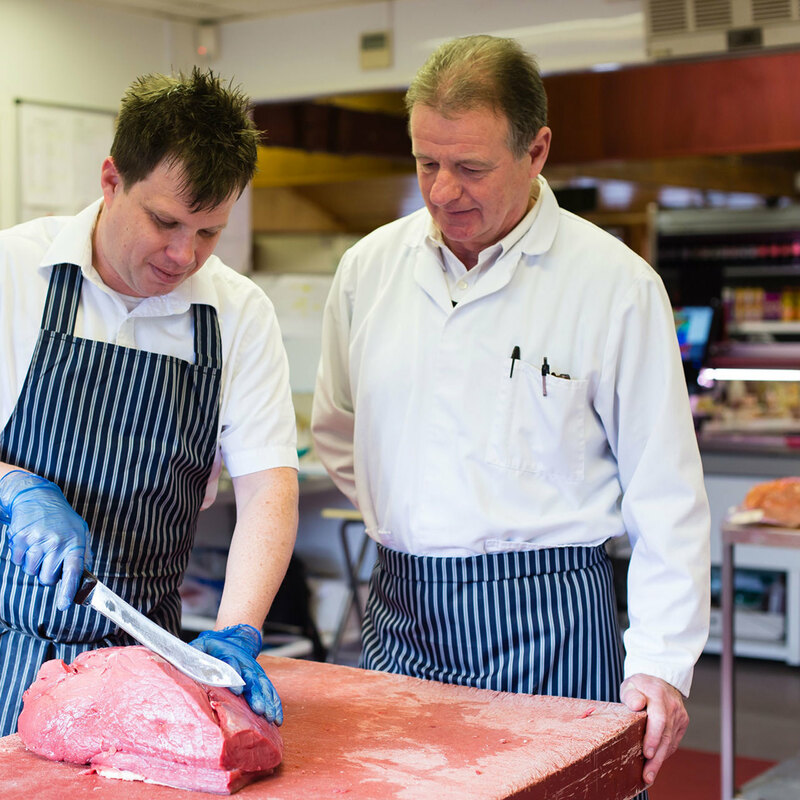 Our butchers are HACCP approved, previously holding the top spot – ‘Gold Award’ for 4 consecutive years. 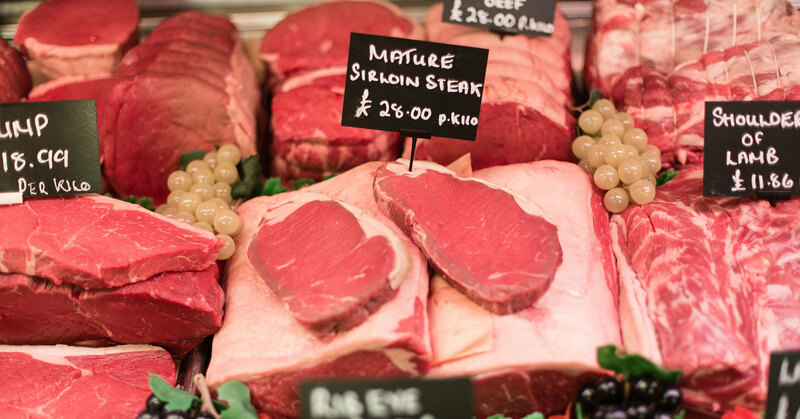 Our team of butchers take pride in their butchery skills, demonstrated in the presentation of our meat counter. Stocked with all meats, including poultry and game. Our game is reared on the farm and from our own shoot. Whether it be beef for a winter stew or a variety pack of meat during BBQ season, we’re sure to help you create a mouth-watering meal. Our popular stir-fries come with pre-cut meat and vegetables ready for the wok so you can cook a tasty meal in minutes. Why not try one of our recipe boxes, full of all the fresh meat and vegetables you need to create a quick healthy meal for your family. Sign up for our newsletter to receive updates on our latest recipe boxes. In addition to the butchers at the Farm Shop in Brooke, we’re very proud of our two other butcher shops. All our pork is local and supplied by C & K meats on the Norfolk Suffolk border. To enhance the flavour even more our pork cuts such as bacon and gammon joints are cured at Bramfield meats. 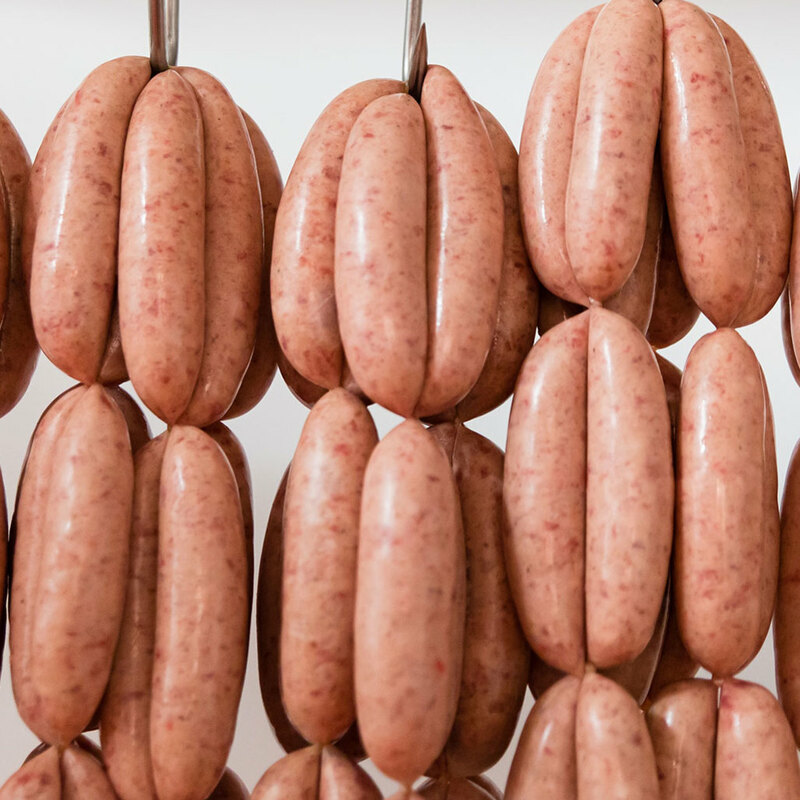 Our traditional pork sausages are a popular choice amongst our customers. They’re made daily ensuring freshness and fullness of flavour. A favorite is our famous traditional pork sausage. But we also like to experiment with the texture and flavour of our sausages, whilst recreating traditional techniques. We offer a variety of sausages throughout the year. Our chorizo sausage is flavoursome with a little bit of a kick. The Toulouse sausage is adapted from a traditional French recipe or another favourite is the black pudding sausage. Spurgeons local butchers’ shops offer an extended variety of sausages to their local customers, each of our skilled butchers have their own favorite recipes, bringing unique flavours and textures to their sausages. Our Beef is sourced locally in Norfolk and Suffolk before being hung for up to 6 weeks to mature it and give the best flavour. By the time it’s cut, it’s delicious in taste and texture. 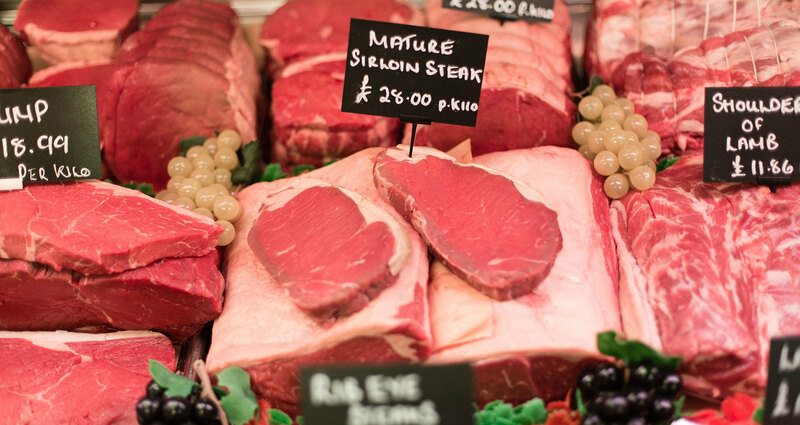 Our range of beef includes various steaks from fillet and sirloin to rib-eye. Our beef skirt and brisket is perfect for slow cooking. If stir fry is on the menu, we’d recommend rump steak. Delicious joints are available for Sunday roasts including matured topside, sirloin and rolled rib of beef. 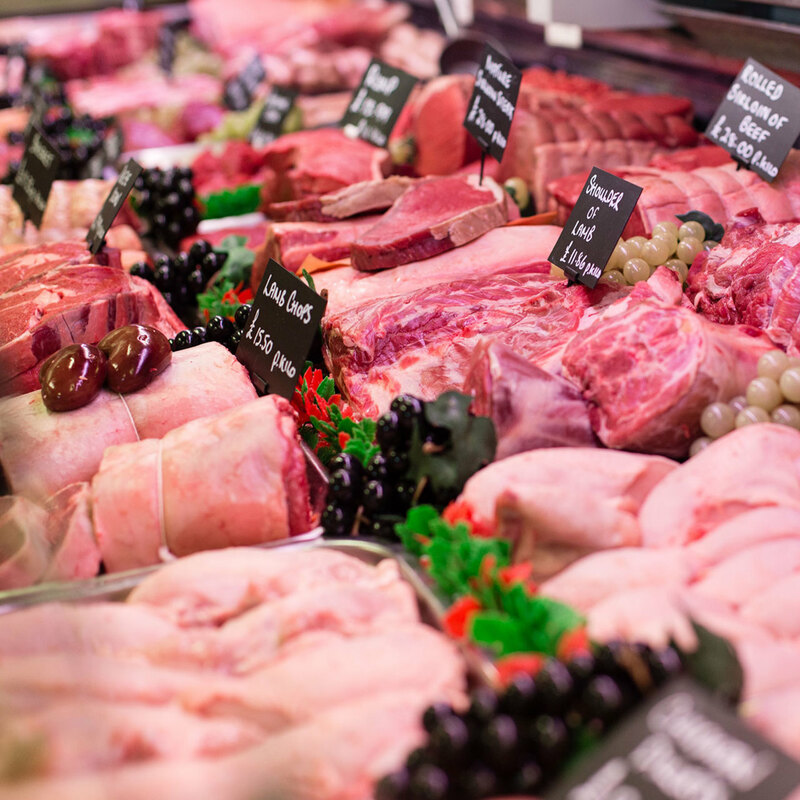 If you’re looking for lamb you won’t be disappointed with our wide selection of cuts. Leg or shoulder of lamb are available with single or Barnsley double lamb chops. Try our divine minted lamb fillets which are bursting with flavour. All our lamb is supplied by Bramfield meats. Much of our game is reared on the farm including pheasant and partridge with the option of being boned, rolled or stuffed ready for the oven. There’s a wide selection to choose from. All our poultry is sourced from Crown Chickens in Fressingfield. Ready for the Summer season we offer marinated ribs, chicken, BBQ chicken, pork and steak kebabs with a choice of marinade. In our burger selection we include steak, gourmet ham and minted lamb burgers. Browse our selection in the warmer months for many more tasty options for outdoor cooking. 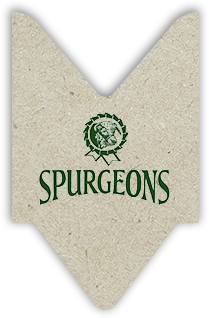 Whether you’re cooking a quick midweek meal or a Sunday roast, we’d be delighted to see you at Spurgeons where we can ensure you have the perfect cut of meat for every meal. 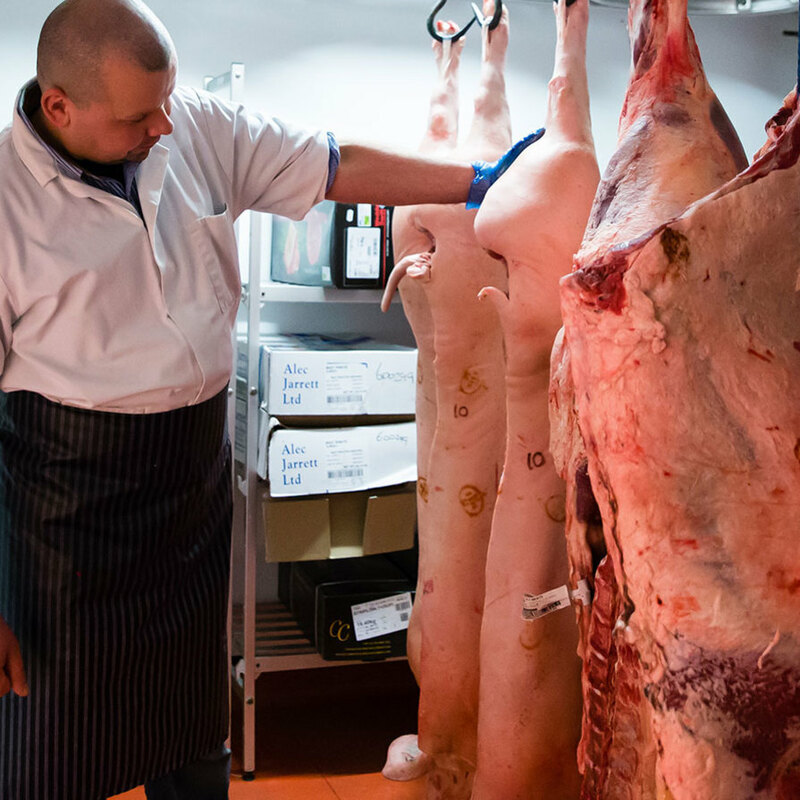 We not only serve the local community from our Farm Shop in Brooke but a daily delivery transports our goods to our two local butcher shops, and neighbouring hotels, restaurants and pubs.